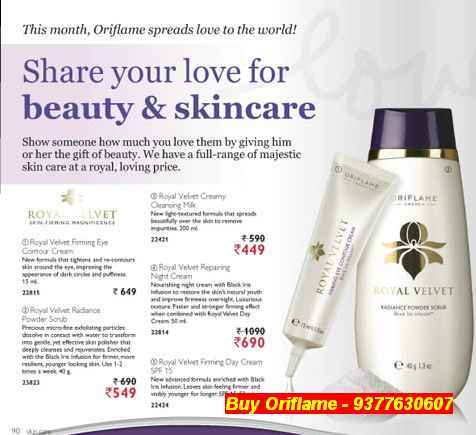 Want Oriflame Products in Mumbai? I am a Oriflame Director and many people who want to buy Oriflame Products in Mumbai come to my office and many of my customers also prefer to take advantage of the free home delivery facility that I provide. If you want to get home delivery you can call us on 09820850522. You can pay for your product orders when you get the products delivered to your doorstep. We supply all Oriflame Products at your doorstep: creams, talcs, nail paints, lipsticks, shampoos, perfumes, deodorants, soaps, scrubs and make up products. You can also join Oriflame if you purchase a good quantity every month It is easy to join. The membership fee is just Rs 299. If you have any questions you can write to me on jashmiw@gmail.com or Call us on these numbers between 11am to 7pm: Jashmi 09820850522.